We, Artificial Intelligence and Robotics Experts, industry leaders, law, medical and ethics experts, confirm that establishing EU-wide rules for Robotics and Artificial Intelligence is pertinent to guarantee a high level of safety and security to the European Union citizens while fostering innovation. 1. The economical, legal, societal and ethical impact of AI and Robotics must be considered without haste or bias. The benefit to all humanity should preside over the framework for EU civil law rules in Robotics and Artificial Intelligence. 2. The creation of a Legal Status of an “electronic person” for “autonomous”, “unpredictable” and “self-learning” robots is justified by the incorrect affirmation that damage liability would be impossible to prove. From a technical perspective, this statement offers many bias based on an overvaluation of the actual capabilities of even the most advanced robots, a superficial understanding of unpredictability and self-learning capacities and, a robot perception distorted by Science-Fiction and a few recent sensational press announcements. a. A legal status for a robot can’t derive from the Natural Person model, since the robot would then hold human rights, such as the right to dignity, the right to its integrity, the right to remuneration or the right to citizenship, thus directly confronting the Human rights. This would be in contradiction with the Charter of Fundamental Rights of the European Union and the Convention for the Protection of Human Rights and Fundamental Freedoms. b. The legal status for a robot can’t derive from the Legal Entity model, since it implies the existence of human persons behind the legal person to represent and direct it. And this is not the case for a robot. c. The legal status for a robot can’t derive from the Anglo-Saxon Trust model also called Fiducie or Treuhand in Germany. Indeed, this regime is extremely complex, requires very specialized competences and would not solve the liability issue. More importantly , it would still imply the existence of a human being as a last resort – the trustee or fiduciary – responsible for managing the robot granted with a Trust or a Fiducie. > The European Union must prompt the development of the AI and Robotics industry insofar as to limit health and safety risks to human beings. The protection of robots’ users and third parties must be at the heart of all EU legal provisions. > The European Union must create an actionable framework for innovative and reliable AI and Robotics to spur even greater benefits for the European peoples and its common market. > Nathalie Nevejans, Lecturer in Law, University of Artois (France), Member of the CNRS Ethics Committee COMETS. Expert in Ethics in Robotics at the European Parliament, Member of the Institute for the Study of Man-Robot Relations (IERHR). > Alexandre Pereira, Faculty of Law Professor at University of Coimbra, (Portugal). IT Law & Cybersecurity researcher and professor. > Véronique Aubergé, CNRS Researcher at LIG Grenoble (France). Scientific Head of Living Lab DOMUS-LI, Scientific co-Head of Robo’ethics Rectorate of Grenoble, INP Foundation President of Ethics Comittee for Social Robotics of SFTAG. > Wolfgang M. Schröder, Professor of Philosophy, Institute for Systematic Theology, University of Würzburg (Germany) – Member of the AG Digital Ethics / Initiative D21 Berlin – Member of the FAG Political Theory & Philosophy, DGPhil. > David Pavlovic , Head of digital strategy & innovation, Heineken (Netherlands). > Lionel Sublet, CEO, Techplus , Symop Robotic Group General Manager (France). > Laurence Devillers, Professor of Artificial Intelligence at Sorbonne University, (France) Researcher at LIMSI « Computer Science Laboratory for Mechanics and Engineering Sciences », CNRS, Member of the French Commission on the Ethics of Research on Digital Science and Technology (CERNA), Member of the IEEE Global Initiative on Ethics of Autonomous and Intelligence Systems. > Jean-Claude Heudin, Professor of Artificial Intelligence, University Paris Sud (France), Former Director and co-founder of the Institute of Internet and Multimedia, Expert to the European Union on the «Future Emerging technologies» project. > Ante Čović, Director at the Centre of excellence for Integrative Bioethics, Vice-Rector for Organisation, Human Resources Development and Cross-University Cooperation (Croatia). .
> Joanna Bryson, Reader (Associate Professor), University of Bath (United Kingdom). Expert in both AI, safety and transparency in intelligent systems, and AI ethics. > Thierry Magnin, Professor in Ethics of Sciences and Technologies, Rector of the Lyon Catholic University (France). Member of The French National Academy of Technologies. > Jean-Michel Besnier, Emeritus Philosophy Professor at University of Paris-Sorbonne, (France), Member of CNRS and INRA Ethics Committees. > Christopher Markou, The University of Cambridge, Lecturer (United Kingdom). Legal Expert Committee, Responsible for Robotics. > Rónán Kennedy, Lecturer in Law, National University of Ireland Galway (Ireland). The European Commission has planned to issue a communication on Robotics and AI as a consequence of the Resolution on Civil Law Rules of Robotics Resolution. Please join us in the Open Letter to protect EU innovation, EU values as well as human safety, security and health. On February 16 2017, the European Parliament adopted a Resolution on Civil Law Rules of Robotics. In fact, a delegating amendment for §59 f) was tabled and 285 Members of Parliament voted in favor of its deletion. We are Political Leaders, AI/robotics researchers and industry leaders, Physical and Mental Health specialists, Law and Ethics experts gathered to voice our concern about the negative consequences of a legal status approach for robots in the European Union. Fostering an actionable framework for civil law rules on robotics and AI consequently addressing the issue of liability of “autonomous” robots is our goal. However, we believe that creating a legal status of electronic “person” would be ideological and non-sensical and non-pragmatic. The European Economic and Social Committee clearly stated in its opinion “The consequences of Artificial Intelligence on the (digital) single market, production, consumption, employment and society” §3.33 that they were opposed to any form of legal status for robots or AI. 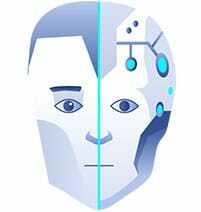 Similarly, UNESCO’s COMEST * report on Robotics Ethics of 2017, share a similar point of view : in the article 201 where they find “highly counterintuitive to call them ‘persons’ as long as they do not possess some additional qualities typically associated with human persons, such as freedom of will, intentionality, self-consciousness, moral agency or a sense of personal identity. It should be mentioned in this context, however, that the Committee on Legal Affairs of the European Parliament, in its 2016 Draft Report with recommendations to the Commission on Civil Law Rules on Robotics, already considers the possibility of “creating a specific legal status for robots, so that at least the most sophisticated autonomous robots could be established as having the status of electronic persons with specific rights and obligations, including that of making good any damage they may cause, and applying electronic personality to cases where robots make smart autonomous decisions or otherwise interact with third parties independently” (JURI, 2016, section 59.f).